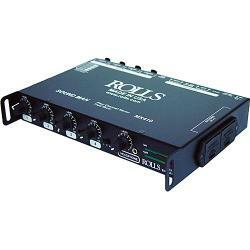 he MX410 from Rolls is a professional-quality 4-channel microphone mixer. It has a robust metal construction, making it ideal for use in the field. 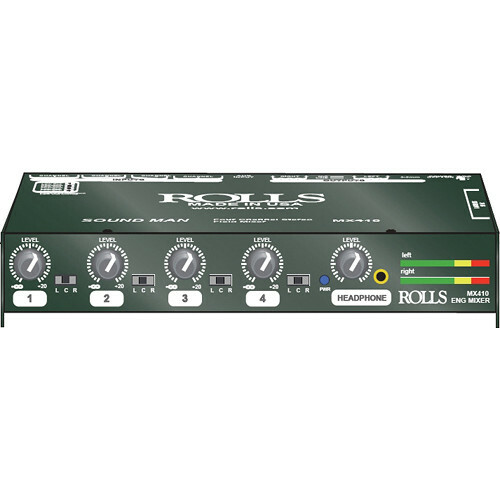 The mixer features 4 balanced XLR inputs, each with switchable phantom power and an independent level control. A pair of transformer-balanced mic/line switchable XLR outputs are provided for connection to a recorder, speakers, or other devices. 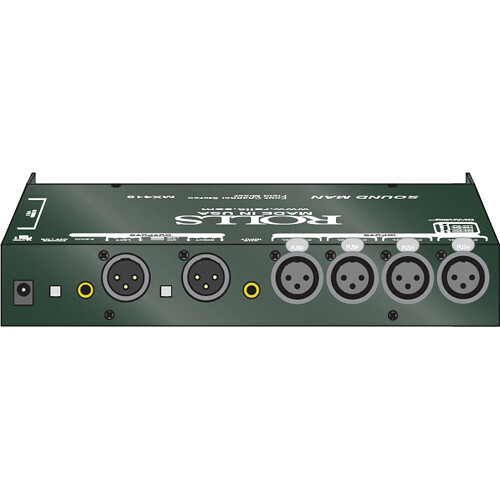 The mixer also offers a 3.5mm headphone jack with an independent level control for convenient monitoring. Power can be supplied with a pair of 9V batteries, or the included external power supply. Box Dimensions (LxWxH)	13.9 x 8.7 x 4.1"